This past April, in a ceremony attended by the Chinese ambassador, Barbados announced the establishment of a Confucius Institute at the University of the West Indies (UWI)-Cave Hill. This institute is one of over 400 Confucius Institutes established in schools across 115 countries. Officially, the Confucius Institute (CI) is a non-profit educational initiative which partners with schools across the globe to provide Chinese language instruction, scholarships for students to study in China, and to promote greater understanding and appreciation of Chinese culture. However, the organization’s close ties with China’s communist government, the sometimes ideological nature of its lessons and its efforts to enforce China’s political positions, have raised concerns that the organization’s intentions may be less about promoting Chinese language and culture and more about expanding China’s political influence globally and spreading the Chinese Communist Party’s (CCP) ideology. The Confucius Institute is owned and overseen by the Office of Chinese Language Council International, known as Hanban. Hanban labels itself as a non-governmental, non-profit organization affiliated with the Chinese Ministry of Education; however, the organization has been described as a “government entity,” because its leadership is comprised mostly of incumbent Chinese government ministers and CCP officials. Hanban’s chair, Liu Yandong, is also the vice-premier of China and a member of the Central Politburo of the Chinese Communist Party, the group of 25 officials who oversee the party. Hanban provides partner schools with grants of about $100,000 to $150,000 USD to help establish CIs. Once established, Hanban funds the institute’s operation jointly with the host school. The organization also provides teachers from China and pays their transportation costs and salaries. Hanban supplies its own books, videos, and other teaching materials to its institutes. Between 2004 and 2011, Hanban spent an estimated $500 million USD establishing and funding CIs around the world. Beginning with Mexico in 2006, 33 CIs have been established in 11 countries in the Latin America-Caribbean region, welcomed in by schools and government officials. Robert Jones, Barbados’ minister of education, said that the institute will bring about the “cross fertilization of ideas” and linguistic and cultural diversity. During the opening of the Confucius Institute at UWI-Mona in Jamaica in 2009, the university’s head, Professor Gordon Shirley, said that the institute will attract “increased numbers of students” and further benefit the university by “increasing and deepening our understanding and appreciation of the culture of the people of China.” Dr. Courtney Hogarth, director of the Confucius Institute at UWI-Mona explained that the institute holds celebrations for major Chinese festivals, teaches Chinese history and geography, Chinese language and culture, as well as Chinese calligraphy and tai-chi. The institute also shows films offering a “glimpse on life in China.” Hogarth urged Jamaicans to “make full use of those services we [at the institute] have to offer.” China’s foreign minister Hua Chunying said that the CIs “promote international friendship” and describes them as a “bridge of friendship connecting the world with China.” However, evidence suggests the institute’s intentions may be more political than educational. A video on the CI website’s ‘For Kids and Teens’ section provides an example of how language learning material is at times marked by CCP ideology. The animated video, which is in Mandarin Chinese with English subtitles, offers a pro-communist, anti-American account of the Korean War. The video consistently referred to the conflict as “the war to resist U.S. aggression and aid Korea,” as do some history books used by the institute. The video, ostensibly to help children learn Chinese language and history, condemned the UN’s intervention in the war and accused the U.S military of trying to “seize the whole (Korean) peninsula.” Yet, it praised the Chinese government for intervening on the side of North Korea. Terence Russell, an associate professor at the Asian Studies Centre at the University of Manitoba, explained that the video was most disturbing because of its orientation towards young children who “lack the critical faculties to parse propaganda.” The video has since been removed from the Confucius Institute’s website, after controversy emerged over its content. June Teufel Dreyer, a professor of political science at the University of Miami, said the history lessons taught in the institute’s videos and books are “outrageous distortions of what actually happened.” Dreyer added that historical events embarrassing to the CCP, such as the Great Leap Forward and the Cultural Revolution, are not included in the institute’s teaching materials. The institute’s lessons also exclude any information on the 1989 Tiananmen Square massacre.” It should be noted that Li Changchun, a former member of the CCP’s Politburo Standing Committee, the highest branch of the Chinese government and former head of the CCP’s Central Commission for Guiding Cultural and Ethical Progress, called the CIs, “an important part of China’s overseas propaganda setup” in 2009, lending some credence to the allegations. The promotion of the ‘one-China’ policy in CIs is especially important for Latin America and the Caribbean. Twelve countries in the region still recognize Taiwan, and, as Bucknell University professor Zhiqun Zhu explained, China has “quickly and quietly doubled its efforts to win Latin American and Caribbean countries away from Taiwan” in order to “further isolate Taiwan diplomatically.” CIs may very well be part of these efforts, as its teaching seems to be more about promoting China’s vision of the world than providing apolitical education. It should be noted that Liu Yunshan, a member of the Politburo Standing Committee and current head of the CCP’s Central Commission for Guiding Cultural and Ethical Progress, called on the communist party to use propaganda to “create a favorable international environment for us” and to exercise “control and management of foreign journalists” to “guide them to report China objectively and friendly.” Yan’s actions represent a connection between the CI and the CCP’s propaganda aims, and the extent to which the institute’s agents are willing to manipulate students to try and censor any criticism of China’s human rights violations. Students are not the only ones who have been manipulated by the Confucius Institute. The institute’s connections with the Chinese government and many schools’ reliance on Hanban funding have raised concerns over how much influence the institutes, and by extension, the Chinese government, have on their host schools. In 2011, Peng Ming-min, a former senior advisor to Taiwan’s president, in the Taipei Times, explained that colleges and universities hosting CIs must first “declare their support for Beijing’s “one China” policy. This policy states that Taiwan is part of China and the CCP’s regime is the “sole legal government” of the Chinese people. It has, however, been suggested that this requirement is—at least publically—no longer enforced. 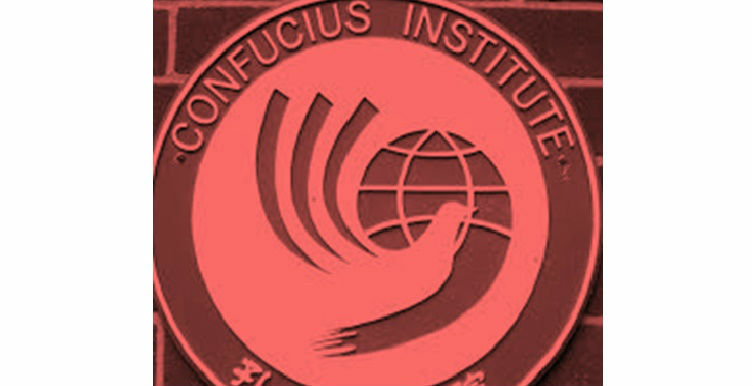 The administrations of many universities hosting Confucius Institutes across the globe have self-censored their activities to keep from offending China. In 2009, North Carolina State University cancelled a visit by the Dalai Lama, after the director of the school’s Confucius Institute warned that hosting the Tibetan leader would disrupt “strong relationships we were developing with China.” Sydney University in Australia also cancelled a lecture by the Dalai Lama in 2013. Australian politicians and activists charged that the university withdrew its support for the event “to avoid damaging its ties with China” and to secure “funding for its cultural Confucius Institute.” New South Wales MP John Kaye accused the university of selling off its “internal integrity” to “maintain close financial ties with the Chinese government.” The university relented after protest and controversy. Also, in 2009 a district court in Tel Aviv, Israel, ordered the city’s university to reopen an art exhibit made by practitioners of Falun Gong, after the exhibit’s organizers sued. Falun Gong is a religious sect banned in China in 1999 and whose practitioners are still actively persecuted by authorities. The court found that the university’s dean closed the exhibit under orders from the Chinese Embassy. Judge Amiram Benyamini, who presided over the case said that the evidence did not support the dean’s claim that the embassy’s remonstrance did not influence his decision to close the exhibit. Judge Benyamini concluded that based on the evidence provided by the plaintiffs, the dean shut down the exhibit solely for fear of losing the university’s CI and the associated funding. Russell explained that many universities see China as a “sugar daddy” and regard partnering with it and establishing CIs as a “pragmatic way of getting more funding.” The United Nations identified under-funded schools as one of the major “overarching blocks” to proper education in Latin America and the Caribbean. With schools in the region in need of funding and the generous amounts of funding provided by Hanban, it should be taken into concern how much influence the CIs will have over their hosts in the region, and how likely it will be for students to receive an objective and realistic view of China and the CCP. Most controversial, however, has been the conflict between Hanban’s hiring practices and religious freedom. Hanban requires that all those wishing to work at CIs, in addition to having no criminal record, must have “no record of participation in Falun Gong.” Opponents of the institutes’ hiring practices like Sonia Zhao argue that this stipulation is tantamount to religious discrimination and that schools who work with Hanban are party to a violation of human rights and local laws. . Zhao, a Falun Gong practitioner was allowed to teach at the Confucius Institute at McMaster University in Ontario, Canada provided she refrain from practicing her religion and doing anything deemed “detrimental to China’s national interest.” Zhao explained that she was told she would be punished if she breeched these conditions, and all teachers for the institute were made to sign similar contracts. Zhao left the Confucius Institute in 2010 and has been granted asylum in Canada on the grounds of religious persecution. McMaster University denied any knowledge of Hanban’s conditions regarding Falun Gong or of the contents of contracts signed by CI teachers. If McMaster’s denials are true, this case is a testament to Hanban’s lack of transparency in its hiring process. McMaster University shut down its CI in 2013, declaring Hanban’s hiring practices to be discriminatory. When confronted on the issue of religious discrimination in Hanban’s hiring, Xu Lin said only, “it is simply a matter of Chinese law.” Chinese law, however, enforced on campuses across the world in violation of recognized fundamental human rights and the laws of most countries. China has responded viciously to criticism of its CIs. Chinese state-run Xinhua News Agency published a response to criticisms of the Confucius Institute. The response asserted that accusations of the political behavior by the CIs are only attempts to “defame and smear China’s goodwill.” Another Xinhua article claimed that criticism of the CIs is all rooted in “intolerance” and “biased preconceived notions.” The article also accused critics of the CI of trying to “smear and isolate the [Communist Party of China].” The article concluded by describing the institute as a “unique contribution from [China] to world peace.” Global Times, another state-run media outlet, published a more vitriolic response. Its article charges that the real reason behind calls for schools to cut ties with CIs is because “China is on the rise” and that the intelligentsia in other countries lack “confidence in their culture and their system.” The article further adds that critics of the Institute are “ashamed and scared” because the “pirate culture” in North America is inferior in the face of “5,000 years of Chinese culture.” Xinhua did admit, however, that “without doubt, CI has its problems, in management style, hiring methods or quality of its teachers,” but it added that problems are to be expected with an institution undergoing such “rapid development” and stressed that there still is no justification for calls to reject Confucius Institutes. Confucius Institutes have also received support from school faculty outside of China. State-run People’s Daily interviewed university faculty members and CI directors from schools in nine countries who all expressed support for the institute, all of whom rejected the CAUT/AAUP assessment of the Confucius Institute, the dean of Suez Canal University in Egypt, for example, called the groups’ comments “unfounded” and “simply ridiculous.” They stressed that the institute is no threat to academic freedom. The head of the Confucius Institute at Moscow State University said that discussion of any subject of interest to students “has never been restricted.” Edward McCord, associate professor of History and International Affairs at George Washington University also expressed support for the CI. McCord argued that it is unfair that CIs are expected to discuss the issues of Tibet and Taiwan and are then “treated with suspicion” for simply offering “counter perspectives supporting the [People’s Republic of China’s] view.” The problem, however, is not necessarily that the CIs support the CCP’s view of the issue, but rather that teachers are required by Hanban to recite the party’s line, as Sonia Zhao explained, and the information they disseminate is not always factual, as Dreyer and Russell point out. McCord also argued that Li Changchun’s comments have been misunderstood, explaining that the word “propaganda” has an innocuous meaning in Chinese. However, Chinese media often uses the same word to condemn U.S. or Western “propaganda.” Also, Li’s successor, Liu Yunshan called on the party to “actively carry out international propaganda battles against issues such as Tibet, Xinjiang, Taiwan, human rights, and Falun Gong.” In Liu Yunshan’s comments, the word “propaganda” has a clearly combative connotation, as he calls on the party to use it to suppress criticisms of China’s political stance and human rights record internationally. China’s response to criticism of the CIs, though sometimes histrionic, may have a degree of truth. Reactions to the Confucius Institutes have been generally positive outside of countries not geopolitically opposed to China. 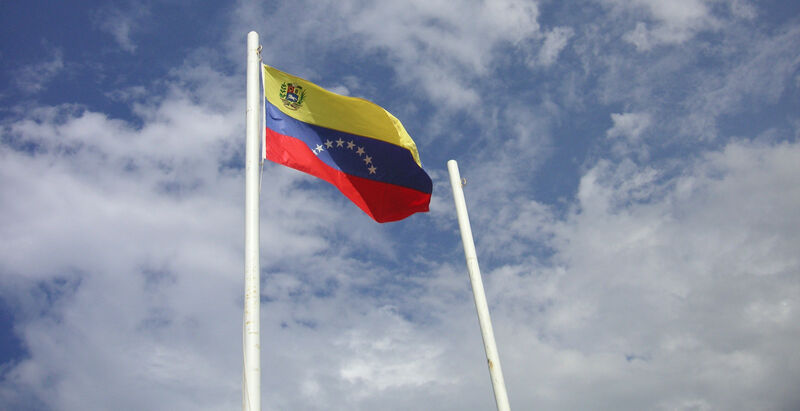 However, the CIs’ trend of promoting the CCP’s positions on major political issues to students should also be of concern in Latin America and the Caribbean. Despite their own claims and those of its supporters, the Confucius Institutes, headed by incumbent politicians, are not apolitical organizations. Their goal is to expand China’s soft power and present a positive, sanitized image of China, or as one professor put it, one of “pandas and chopsticks.” Given their history struggling with Western colonialism and coercion, it may be understandable why those in Latin America and the Caribbean want closer ties with China. However, the nature of the CCP’s rule and the censorship and political repression it practices should not be overlooked, especially in education. Thus, greater scrutiny should be applied to the institute’s practices in the region. Featured Photo: Confucius Institute Brighton College. From: Mark Morgan. Edited by: Andrew Lumsden. Zhu, Zhiqun. China’s New Diplomacy Rationale, Strategies and Significance. Farnham, England: Ashgate, 2010.